SeaPort-NxG. RJ Vincent Enterprises LLC (dba Vincent Enterprises) received a SeaPort-Next Generation (SeaPort-NxG) award under contract number N0017819D8426. 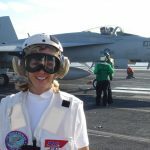 SeaPort-NxG enables Vincent Enterprises, a Woman-Owned Small Business, to provide engineering and program management services to the Navy and Marines. 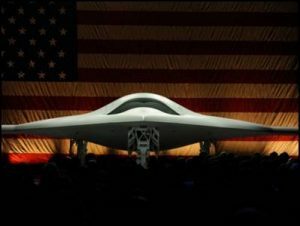 Northrop Grumman: Our NGC work stems from our founder having led the Global Hawk (GH) aircraft avionics original design team from proposal win through first vehicle build. Global Hawk is NGC’s High-Altitude/Long Endurance UAV. The GH program received a Robert J. Collier Trophy for the “Greatest Achievement in Aeronautics and Astronautics in America” and a Tribute to the program success is on display in the San Diego Aerospace museum. Vincent Enterprises’ NGC projects have included: Triton communication systems engineering, UCAS Advanced Development and UCAS-D testing, Communications modeling with MATLAB/ Simulink, Systems Engineering / Product Design for an aircraft voice and data communications payload (BACN). Lockheed Martin: Our Lockheed Martin work started with a consulting project for ORINCON. We helped ORINCON win a $100+M Army project called Future Combat Systems, which provided a next generation warfighting capability. We also developed Technology Road Maps, Strategic and Tactical Business Plans, Communications Plans, and Training Plans for ORINCON which contributed to ORINCON’s acquisition by Lockheed Martin. Other Lockheed Martin work includes business development and international programs for SPAWAR (Navy). Silicon Image: Productivity Enhancement; we facilitated a senior executive team thru a program designed to improve organizational culture/performance. HNC Software (now Fair Isaac). Business Development, Advanced Research, predictive modeling and software solutions group. SeaPort-E. Vincent Enterprises held a Seaport Enhanced Multiple Award Contract, contract number N00178-05-D-4534 (all zones) for 10 years. Sony Electronics: International Product Development/Production. Planned a new product design for Sony Display Systems which was nominated for best in show at a Consumer Electronics Show. Establish roles and responsibilities for Sony’s team to get design and marketing efforts aligned and on schedule. Prepared new division president’s 1st presentation to all employees. Becky Vincent’s program management skills were instrumental in planning a new product design at Sony Display Systems. Her program plan helped us establish roles and responsibilities for our team and get our design and marketing efforts aligned and on schedule. Rob Bartels, former General Manager, Sony Electronics Inc.
GenVault. Supported a commercial biotech company in developing a product rollout and support plan for a bioinformatics service oriented architecture enterprise software solution. Engineering Services Network for Department of Defense, Office of the Secretary of Defense. Technology Assessment study in Electronics and Aerospace to add a Technology Focus to the Small Business (Mentor/Protégée) Program. The Office of the Secretary of Defense thought highly of Vincent Enterprises and referred them to us. Their evaluation of technologies in Aerospace and Electronics prepared for the DoD Mentor-Protégée Program was right on. We anticipate incorporating this vision and objectives into the program as we move forward. Scott Ulvi, former Vice President, Engineering Services Network Inc.
Related. Site Assessments, Fannie Mae foreclosure properties. Next Image Medical Helped found and fund a Workers Comp cost containment company that manages radiology for large insurance carriers on a Vincent Enterprises contract; participated in all areas of operation.